Mulhouse was recognised as a Ville d’art et d’histoire, a sign of excellence for exceptional heritage awarded by the Ministry of Culture in December 2008. As the only town in Alsace to receive this recognition, Mulhouse joins the network of 162 approved French towns and areas. The award recognises Mulhouse whose many charms appear as you wander through its areas and amongst its diverse built and natural heritage. Mulhouse is home to 17 buildings registered or listed as a Monument Historique including the town hall whose beauty Montaigne praised at the end of the 16th century and the stunning 18th century mansions such as the Maison Loewenfels. On top of the listed buildings, the town is teeming with architectural features which visitors can see as they walk and even on more recent buildings. 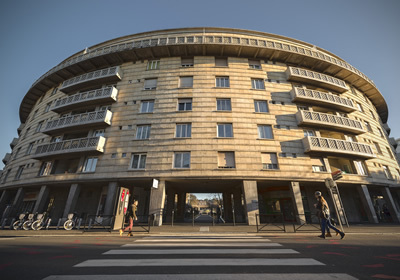 19th and 20th century heritage is particularly exciting: the new area built for workers, the Cité Ouvrière has retained its charm, the rows of workers’ houses with detailed architecture, DMC and SACM industrial buildings, the Bâtiment Annulaire etc. 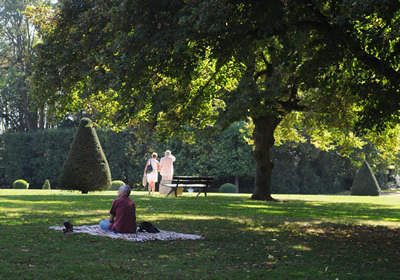 Mulhouse also has fantastic natural heritage mostly inherited from the 19th century such as the Parc zoologique et botanique, Square Steinbach and Parc Salvator with its many tree species. There are several options for exploring this remarkable heritage: guided tours, “Laissez-vous conter Mulhouse” and “Raconte-moi Mulhouse” brochures, educational and fun activities for children and youngsters, the new Centre d’interprétation de l’architecture et du patrimoine in the heart of town with its permanent and temporary exhibitions.